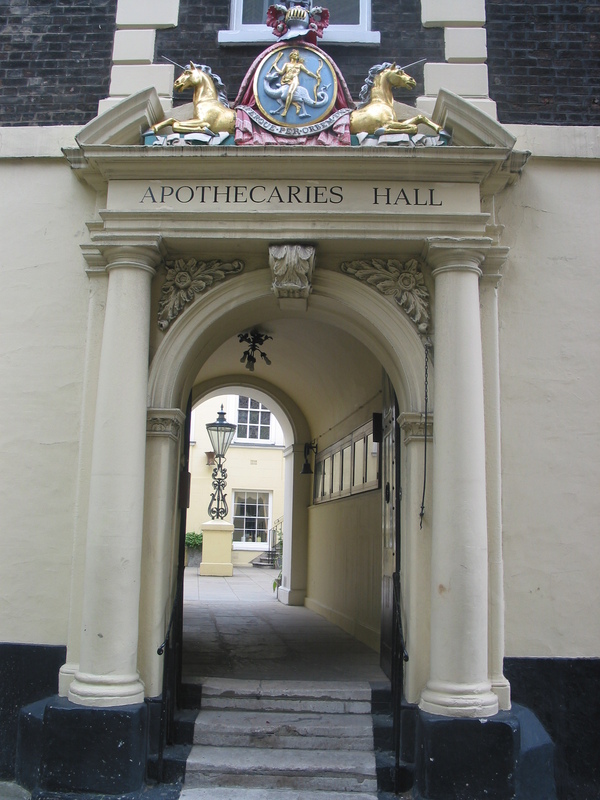 In which we look at the marriages and descendants of Mary Backler (1813-1882), Society of Apothecaries Clerk Sotherton Backler’s (1746-1819) grand-daughter, and oldest daughter of Samuel Backler (1784-1870), Sotherton’s first son by his second wife, Hannah Osborne. Samuel married Mary Pellatt (1789-1857), daughter of Apsley Pellatt (1763-1826), ironmonger, and his wife Mary Maberly (1769-1822). We will see much more of Samuel and his descendants in later blogs – he is my 3x great grandfather. Here we consider a possible mystery around the parentage of Mary’s fourth child, Thomas Meriton Pellatt, aka Thomas Meriton Sargeant. Mary Backler (1813- 1882) married her cousin Henry Pellatt (1797-1860) of Ironmonger’s Hall on 18 March 1831 in St Mark’s Kennington, only 4 months before Henry would be sworn as an assignee in the affairs of Mary’s father Samuel, tobacconist of St James’ Place, who had been declared bankrupt and whose creditors included, among others, both Maberly and Pellatt relations. By the time of the 1841 Census, Henry and Mary were living in Hammersmith with their two young children, Henry Apsley Pellatt, and Victoria Mary Pellatt. Their third child, William Cowper Pellatt, was born in 1842 and christened in Hammersmith. 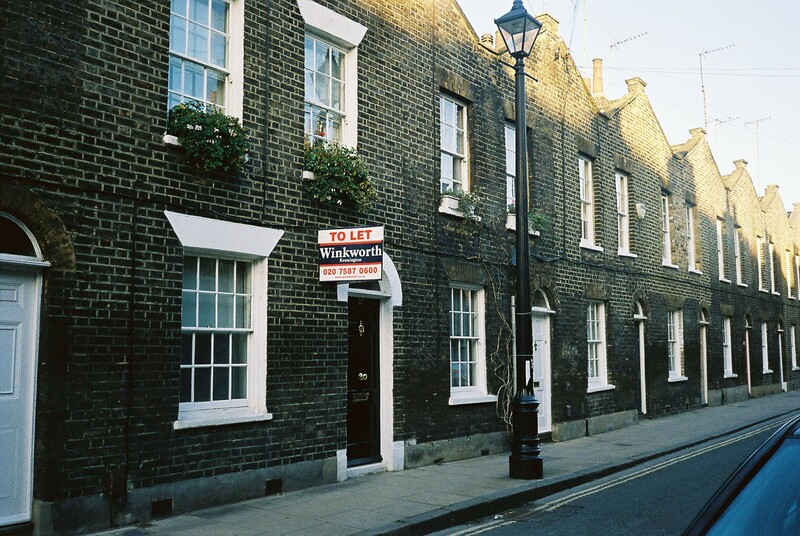 The 1851 Census found them in Roupell Street, very near to what is now Waterloo Station, and shown in recent years in the photo on the left. And there, you might think, the family was complete. 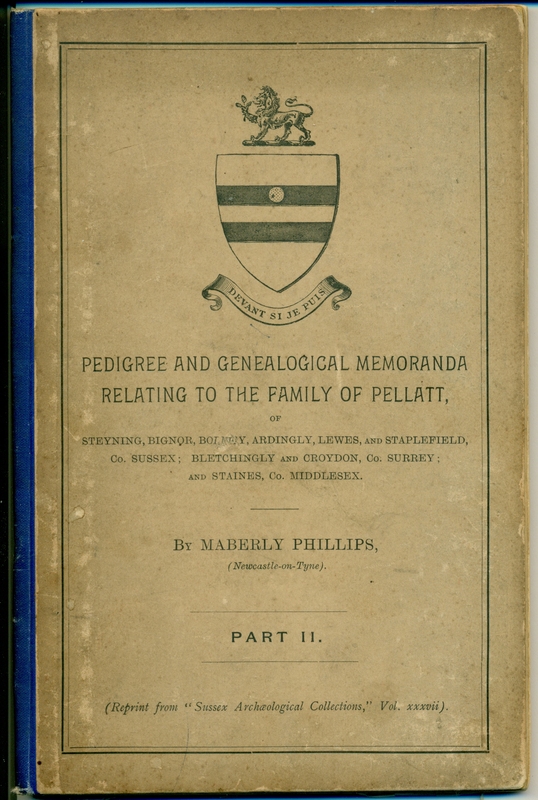 Indeed, that is what the extensive family tree shows in the ‘Pedigree and Genealogical Memoranda Relating to the Family of Pellatt, by Maberly Phillips and published in two parts by Sussex Archaeological Collections Vol xxvii. However, after a ten year gap, a fourth child was born to Henry and Mary. He was Thomas Meriton Pellatt, born 15 July 1852, and christened at the nearby St John the Evangelist Church on 8 August. 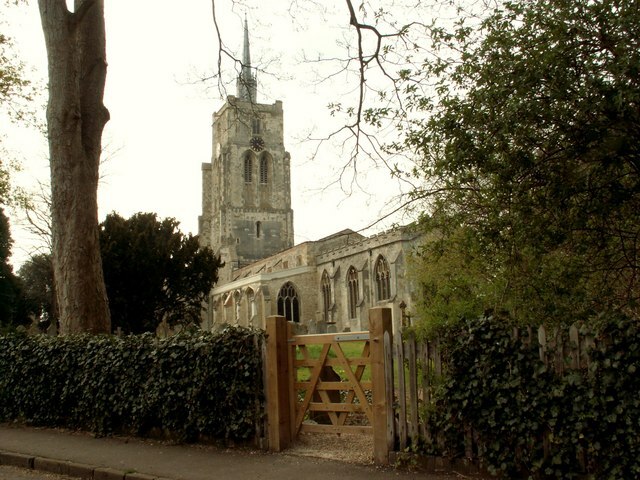 (I stood for many years opposite this church waiting for the 521 bus to take me to work on early mornings.) This child does not appear on Maberly Phillips’ Pellatt family tree. Could it be that the registered father – Henry Pellatt, solicitor, was not in fact his father? Henry Pellatt died on 23 November 1860, aged about 63. His wife Mary, then aged about 47, married with what might seem as unseemly haste. Less than two months after Henry’s death, on 3 January, 1861, in the parish church of St Botolph Bishopsgate, she was wed to Thomas Waldo Sargeant, known as Waldo Sargeant. I have not succeeded in finding the newly-married couple in the 1861 census, nor any of the offspring of Henry and Mary, including young Thomas Meriton Pellatt. By 1871, however, Waldo Sargeant, 46, born in Devon. ‘draughtsman on wood’ is to be found in Carlton Grove, Clyde Terrace, Camberwell, with his wife Mary, 57, born Pentonville, with their son Thomas ‘do’ [ie, ditto – or Sargeant], aged 17, unmarried, violinist, born Lambeth, Roupell Street. Had Waldo done the decent thing and informally made young Thomas his son? Or could it be that Waldo was actually Thomas’ father? By 1881, the marriage had clearly fallen apart. Waldo was now a ‘designer in wood’, living with his ‘wife’ Alice, age 38 and born in Tralee, Ireland. 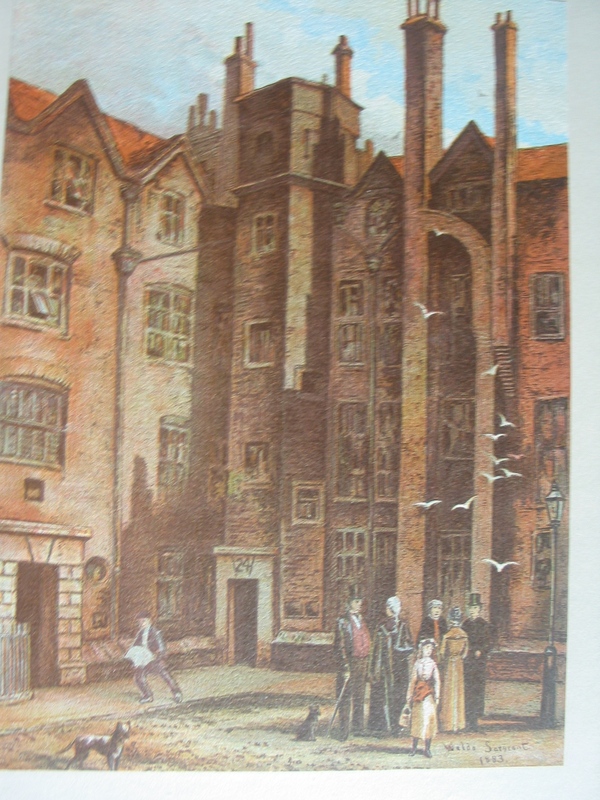 They were lodging in Holborn, where he is to be found ten years later as a ‘widower’, a few doors away. Waldo was long-lived, and was to be found as a lodger in Hammersmith and then Fulham in the 1901 and 1911 Censuses. His death was recorded in Camberwell in 1911. But what of Mary – my 3x great aunt? In 1881, while Waldo lodged with his ‘wife’ Alice in Holborn, she had taken up residence (perhaps refuge?) with her son William Cowper Pellatt and his wife Eliza, at 20 Union Street, Deptford St Paul – just south of the Thames near Greenwich. Mary was styled a ‘widow’ – which she was, of Henry Pellatt, but NOT of Waldo Sargeant! She died in 1882, and is buried in Ladywell and Brockley Cemetery, with her son William Cowper Pellatt, who died in 1899; his wife Eliza, who died in 1904, and two of their children – William Cowper Pellatt, who died in infancy, and Ernest Waldo Pellatt, who died aged 17 in 1885. His middle name Waldo – given to him while his grandmother Mary was still living with her then-husband Waldo Sargeant – could either indicate very close family links with Waldo – or simply be a mark of respect for Mary Backler/Pellatt/Sargeant’s husband! Recently I became the proud owner of an extremely large and heavy volume complete with illustrations by Waldo Sargeant. 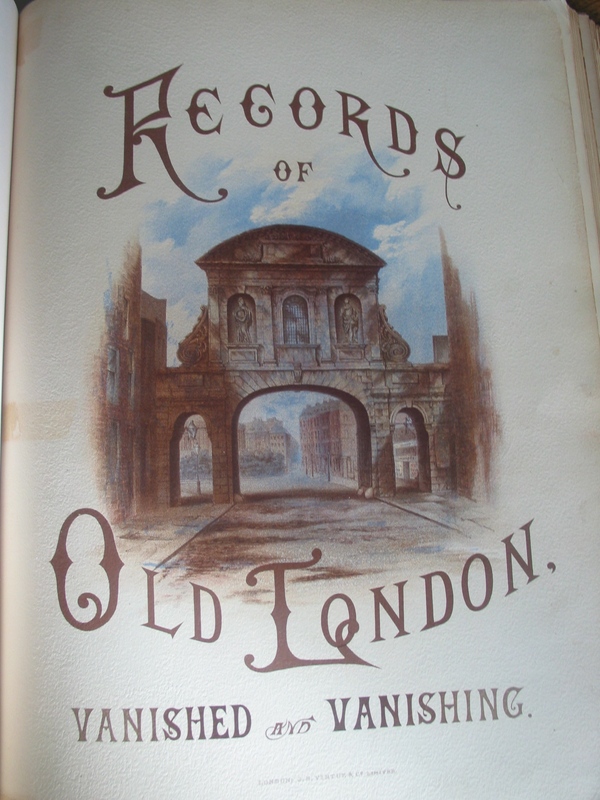 The prints in the volume are from original drawings almost all from the area around Lincoln’s Inn, the Strand and Holborn, with later ones in Putney and Fulham. In this period, Waldo had abandoned ‘wood’ for drawing and painting. There are no other records to be found of his artistic endeavours. The print on the right clearly shows his signature and the date 1883 – after Mary’s death but presumably while he was still living with ‘wife’ Alice Sargeant. But back to Thomas Meriton Pellatt/Sargeant, the subject of this blog. He and his wife Amy Lucas spawned no fewer than 11 daughters, over a period from 1878 to 1897. A steady succession of Sargeant daughters was wed at St Mary Magdalen Church, Peckham. However, anyone searching the records for the origins of their father, Thomas Meriton Sargeant, Professor of Music (or violin), as he was to appear in successive censuses, might not be certain that he is one and the same as Thomas Meriton Pellatt. His omission from the Maberly Phillips family tree leads me to infer that he was not a Pellatt ‘in blood’ although his birth certificate suggests that he is. A mystery.